Phenomenal Women® is a 501(C)(3) nonprofit corporation. We celebrate women and their accomplishments! We provide women with educational resources to strengthen character, build strong families and create an authentic bond of sisterhood. Our mentorship program for young girls has gained International recognition and is currently being implemented in the country of Bermuda. Although Phenomenal Women® was originally designed with women in mind we also facilitate workshops for men and children. Our purpose is to Unite, Empower, and Inspire women to become their personal best. To build strong families one woman, one home and one community at a time. We were founded September 1995, Incorporated in 2002, started our international chapter and became a registered trademark in 2006. In 2015 we launched our Phenomenal Woman® apparel line. In 1998, Tanya Hutchison needed accountability to achieve a weight loss goal and felt a vital need to connect with other women. Therefore she invited a group of women to meet in her home and began to share her challenges and desires. Tanya facilitated “The Truth Shall Set You Free!” seminar held in her studio. The women felt connected. They were UNITED by laughter, tears and Tanya’s authenticity. The women walked away with a sense of direction as they openly began to discuss their personal challenges in life and the importance of being true to self and others. The name “Phenomenal Women®” was INSPIRED by Margaret Giloth when she spoke at one of their monthly workshops. After the workshop all the participants felt so “Phenomenal” and EMPOWERED that we decided to name the group “Phenomenal Women®”. 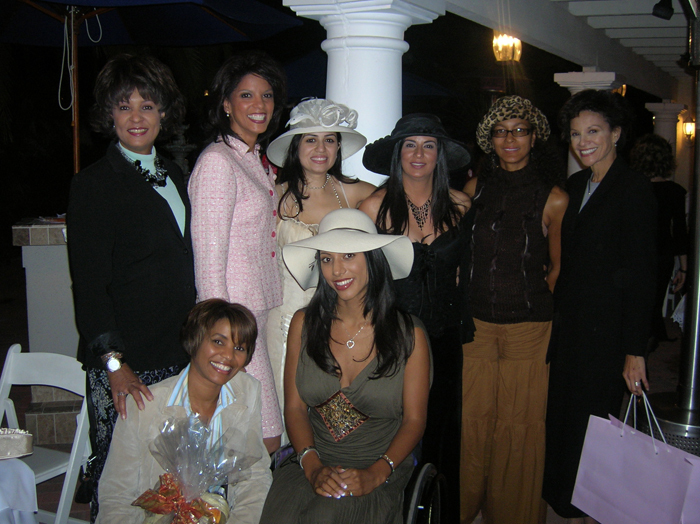 September 6, 2002, SanDei English-Anderson and Tanya produced the first Phenomenal Women’s dinner and fundraiser sponsored by Avo’s Restaurant (Orange County, California), as a birthday celebration for Tanya. San Dei surprised everyone, especially Tanya, when she presented Tanya with the inaugural “Phenomenal Woman®” award for her outstanding commitment to the organization, her family and her community. The fundraiser is now an annual tradition where we honor phenomenal women in the community with our “Hats Off To YOU” Tea (Together Excellence Achieved) awards presentation. 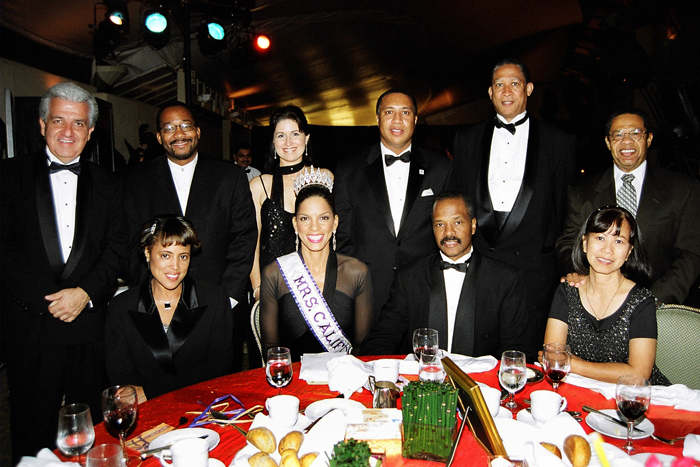 November 2000, the National Board was formed, and in December 2002 Phenomenal Women® became incorporated. September 28, 2006 the United States Patent and Trademark office and Department of Commerce officially identified Phenomenal Women® as a registered trademark. In March 2007, Phenomenal Women® received a congratulatory statement from the Governor’s Office, “Your dedication to empowering women and honoring women is so inspirational–you are true architects for change!” signed by Maria Shriver, First Lady of California. The rest is Herstory. Tanya is a wife, mother, sister, friend, author and role model to many. She speaks with candor and conviction as she shares intimate details of how she overcame many challenges to become the beautiful woman she is today. Her heartfelt inspirational truth will help others to live life on purpose, persevere and discover their beauty too. Her book “Phenomenal Beauty“ will take you on an incredible journey! Tanya Hutchison lives in Orange County, California. She has been successfully married for over 25 exciting years, and she is the proud mother to five magnificent children. Tanya was born and raised in Detroit, “Motown” Michigan. She relocated to California after receiving her Bachelor of Science degree from Western Michigan University. Tanya is the CEO of “Role Model Productions” a Fashion, Beauty, and Etiquette Studio. She is also an independent consultant with Arbonne International (Tanyahutchison.arbonne.com), where she inspires people to become phenomenal leaders, start home based businesses, and teaches principals of financial independence. Tanya made history when her story “Never Ever Give Up” was published in the inaugural edition of “Chicken Soup for the African American Woman’s Soul”. Tanya also writes Etiquette articles for a national magazine. As the winner of the reality television series “She’s Got the Look”, Tanya brings name recognition to “Phenomenal Women” and “Role Models” appearing in magazines and television commercials, a former Los Angeles Raiders Cheerleader, “Star Search” champion Spokes Model and Mrs. California International titleholder. She is a member of the Screen Actors Guild and the American Federation of Television and Radio Artists. She is represented by CESD Talent in Los Angeles. She was inducted into her High School Hall of Fame for her accomplishments. She is passionate about her commitment to work with women as well as youth groups to instill the importance of living a life of freedom which begins with character and commitment. Her friend’s call her “Phenomenal”, Ebony magazine says she’s “A Mother of Invention”, Orange Coast magazine refers to her as “Mega Mom”, NAWBO (National Association of Women Business Owners) claims her as a“Remarkable Woman”. She was voted as Orange County Metro magazine’s “Hot 25” people. As you can see, Tanya lives a purpose driven life and she is always available to make a guest appearance to share the “Phenomenal News” and to help others find their passion too. She enjoys speaking to youth groups and women’s organizations on the importance of family etiquette, financial peace, overcoming adversity, being a positive role model, why women are phenomenal, or any topic relating to beauty.